Up to 70% Off with Pre-booked Parking at Liverpool John Lennon Airport Take away one of the stresses of traveling by pre-booking your parking and save money as well. Fast Track Upgrade from £6 at Liverpool John Lennon Airport Take the stress out of traveling, easily upgrade to Fast-track parking at Liverpool John Lennon Airport and miss out on any unnecessary delays. 5 Nights Parking From £47 at Liverpool John Lennon Airport Perfect for those short breaks, save up to £200 by pre-booking! 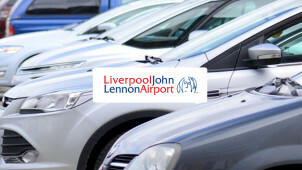 Car Parking From just £39.99 a Week at Liverpool John Lennon Airport A short walk to check-in, airport parking has never been so easy. Liverpool John Lennon Airport (LJLA) has become one of the busiest airports in the UK, offering flights to national and international locations for both business and pleasure. Every popular airport needs on site facilities that make travelling a breeze - and LJLA is no exception! With plenty of airport car parking options - here there’s an option for every traveller's needs. Book today and enjoy a discount on an easy and reliable service with vouchercloud. Now you just need to decide where to go on your next adventure! Whether you’re picking up family, dropping off friends or going on a long haul flight - at Liverpool John Lennon Airport you can rely on a speedy and superior service. With staff on hand and ready to guide you on a safe and sound journey, your weekend trip away will be fancy-free from start to finish every time you choose to park with LJLA. You'll never be more than 5 minutes from the airport terminal, whether you’re choosing long stay parking, a multi-storey car park or premium parking service - click here for more information about the car parking options at LJLA and forget the usual stress of airport parking. How do I use my Liverpool Airport Parking discount code? Your discounts will be shown in your booking details total so you can continue to complete the transaction. Sign up to the newsletter to receive exclusive offers on car parking and more from Liverpool John Lennon Airport. Where is Liverpool Airport’s Official Parking? The official parking at Liverpool Airport is located on the airport site, in easy walking distance to the terminal. Some parking options are just a minutes walk away, whereas others are up to a 5 minute walk. Liverpool Airport is located less than 10 miles outside of the city centre, which should be less than a 30 minute drive. The airport is signposted from the city centre and then all the way to the car parks. Does LJLA provide travel insurance? You can buy holiday insurance online here to ensure that you are covered with one of their award-winning travel insurance options. Where does LJLA fly to? You can discover a whole host of destinations from Liverpool John Lennon Airport, check out where your next trip could take you here and filter by travellers or holiday types to find the perfect getaway for you. Can I cancel my airport parking? You can cancel your reservation up to 24 hours prior to your arrival time by following the instructions online. No refunds or cancellations will be accepted closer to the booking time, do read the Terms & Conditions. You will receive a confirmation with your booking reference and further instructions online, please print this out as you will need it at the airport. You will also receive a confirmation via email as well as useful tips on travel to the airport. There is a £5 cancellation fee and you are not permitted to cancel less than 24 hours before arrival. Alternatively, you can tweet John Lennon Airport here. Liverpool Airport Parking has a wide range of car parking services to choose from, here you can find premium airport parking as well as a fast track service, long haul stay and more. Choose whichever will suit your travel preferences and book with a Liverpool Airport discount code to save on a secure service. With all the options at easy walking distance from the terminal, 24hr security and registration number recognition - here you can park with peace of mind. Like to go fast track? Sometimes a queue is too much and fast track can be a great option if you have little ones too - book online in advance with a Liverpool Airport Parking discount code at LJLA and get up to 30% off. Going Fast Track will seriously cut your queuing time and when that's eliminated - you can simply enjoy relaxing around the airport lounges, getting a bite to eat or indulging in a little shopping. It is probably fairly obvious that we like to dabble in a little shopping, so Duty-Free shopping where you can grab a bargain is really up our street, especially with a Liverpool Airport Parking promotional code to save on you getting there! What better way to pass the time before your flight than with a little shopping? At LJLA’s World Duty Free you’ll find all of your favourite perfumes, spirits, beauty products and more with fantastic savings on their usual retail price. Check out the special offers here.